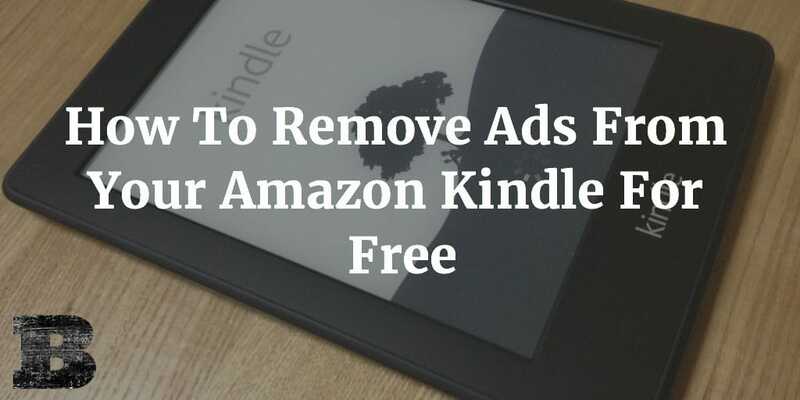 To remove ads from your Kindle, all you have to do is ask. Really, it’s that simple. Here are the 5 steps to make it happen in just 5 minutes. Step 1) Click here to go to the Amazon Contact Us section. You may be prompted to login to Amazon, if you aren’t already. Step 2) Click ‘Devices’ at the top of the ‘What can we help you with?’ section. 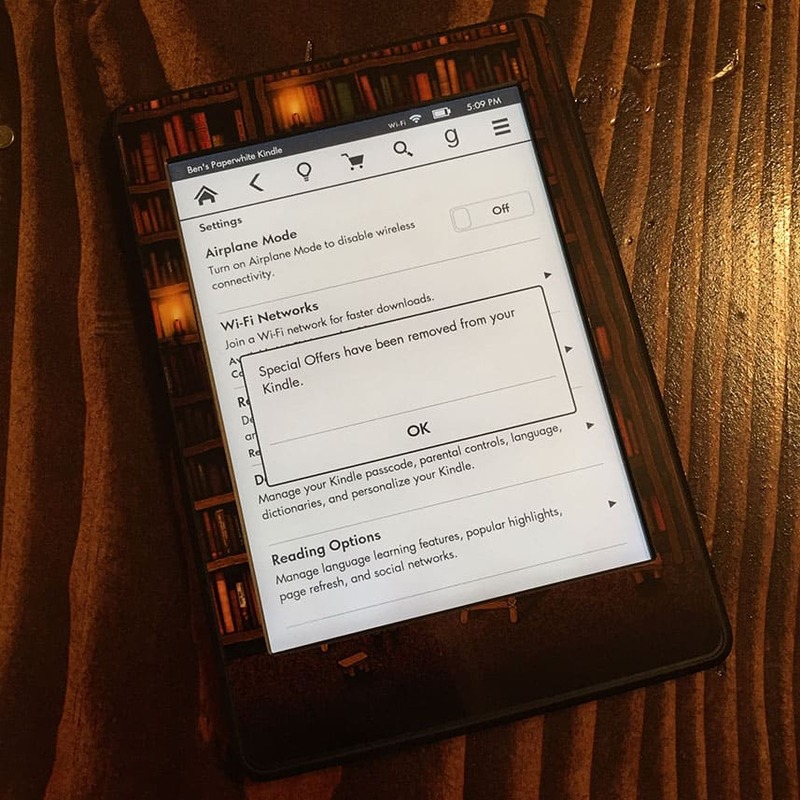 Step 3) In the ‘Tell us more about your issue’ section, select ‘Kindle E-reader’ from the ‘Select the device you need help with’ drop-down. Then select ‘Something else’ from the ‘Select your issue and get connected to an expert’ drop-down. Next, in the ‘Enter short summary of issue’, type (or paste): How do I remove special offers from my Kindle? Finally, click ‘Chat’ in the ‘How would you like to contact us?’ section. Step 4) You’ll be connected to a customer support rep. They should take care of the request free of charge. You can see my conversation below. 03:02 PM PST Rep (Amazon): Hello, my name is Rep. I’m here to help you today. 03:03 PM PST Rep: May I place you on hold for 2 minutes while I look into this? 03:03 PM PST Ben: Sure. 03:06 PM PST Rep: Ben, I have disabled Special Offers on your Kindle device. You will not be charged any additional fees for this. In order to complete the process of unsubscribing your device from Special Offers, please turn wireless ON on your device. The next time your device connects to a wireless network, it will complete the process of unsubscribing. 03:06 PM PST Ben: Thank you so much! 03:06 PM PST Rep: You’re welcome. Is there anything else I can assist you with today? 03:07 PM PST Ben: That should be it. Thanks again! 03:07 PM PST Rep: Ben, I request you to provide your valuable time to give a feedback so that we can improve our assistance more on Amazon to resolve the customer queries. 03:07 PM PST Ben: No problem. 03:07 PM PST Rep: Please Click on End Chat to submit us the feedback. Have a good day. As you can see, it’s simple to remove Kindle special offers quickly and easily, without having to resort to difficult hacks or blocking your wifi connection forever. Be sure to fill out the quick, 5 second customer feedback and give your support rep high remarks for saving you some cash (plus the annoyance of ads). Now enjoy your ad-free Kindle experience.